Fried food is a southern staple. Whether you like chicken-fried steak, fried chicken or fried pies, there are dozens of places in Oklahoma where you’ll find crunchy and delicious edibles like only southerners can make. Here are 10 great restaurants in the state that deep fry their specialties. Fried pies are an Oklahoma tradition. This is where it all started. The cherry and apple pies are absolutely wonderful, but you can also get savory pies now. Ann’s Chicken Fry began in 1948. It’s a Route 66, 1950s themed diner that you should visit at least once. They’re know for chicken fried steak, but the fried okra is really good, too. Evelyn’s offers fried pork chops, fried catfish and chicken fried chicken and steak. Choose oven-baked macaroni and cheese to pair with your entrée for a comfort meal that will take you back to your childhood. Fried chicken, thick-cut French fries, fried okra, and fried pickle spears await at the local gem. It has a fun menu with lots of treats, even some salads, if you’re looking to balance fried food with some healthy greens. The Sunday lunch features some of the best fried chicken in Oklahoma. It’s only served from 11:30 a.m. to 2 p.m., served with mashed potatoes, cream-style gravy, black-eyed peas and homemade cobblers for dessert. The house specialty is a specially marinated boneless chicken breast that is battered and deep fried before hitting your table with a house-made dipping sauce. The restaurant is a restored passenger train car from the 1940s, so it’s doubly special for both its ambiance and food. 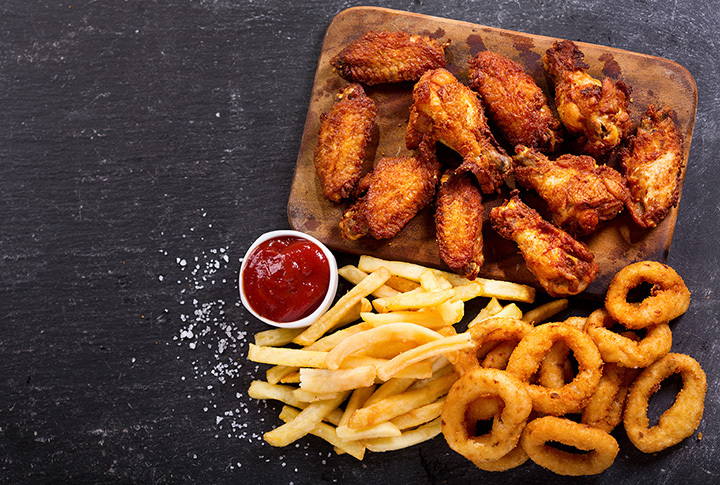 Mama E’s has been featured on Food Network’s “Diners, Drive-Ins and Dives” and “Restaurant Impossible.” It’s one of the best places to get wings in Oklahoma City. Thrillest named Eischen’s one of the best places to get fried chicken in the nation. The recipe dates back to 1896, before Oklahoma’s statehood. Get a whole bird, which comes to the table with dill and sweet pickles, onions and bread. It’s served simply, but the taste is out-of-this-world. Cosby’s is a local favorite that serves catfish and all the sides. It offers large portions in a casual atmosphere. If you’re in the Grand Lake area, it’s a must-stop restaurant. Check the hours before you go. Winter hours differ from summer quite a bit. Kendall’s is known for chicken fried steak, one of the best foods that can be deep fried and eaten for dinner. Try their chicken fried steak challenge if you dare.